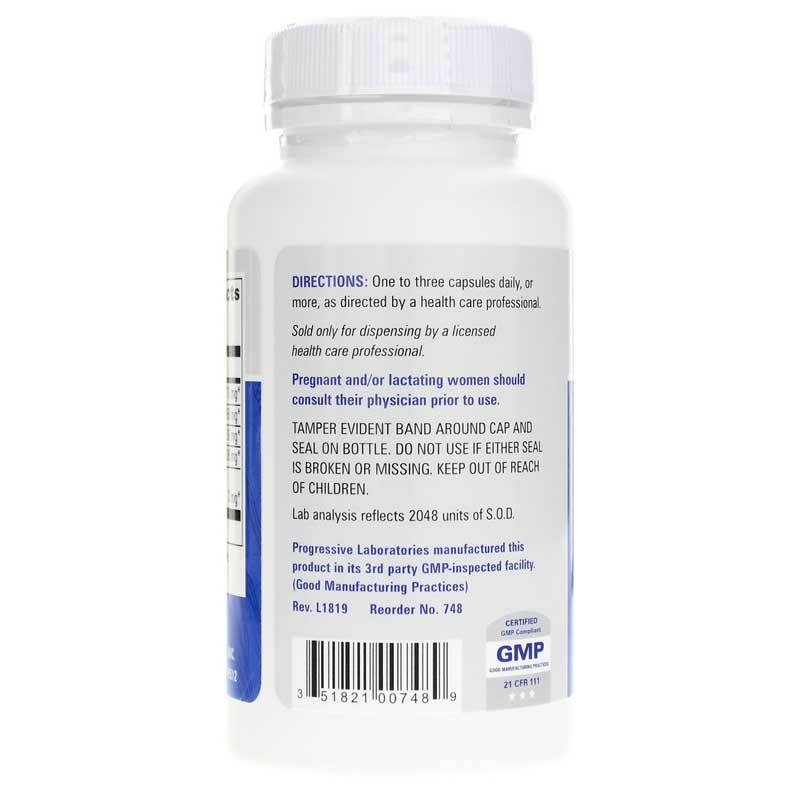 Superoxide dismutase (referred to as SOD) is one of the most important enzymes in your body, as it promotes health cell development and provides antioxidant protection against free radicals and oxidative stress. 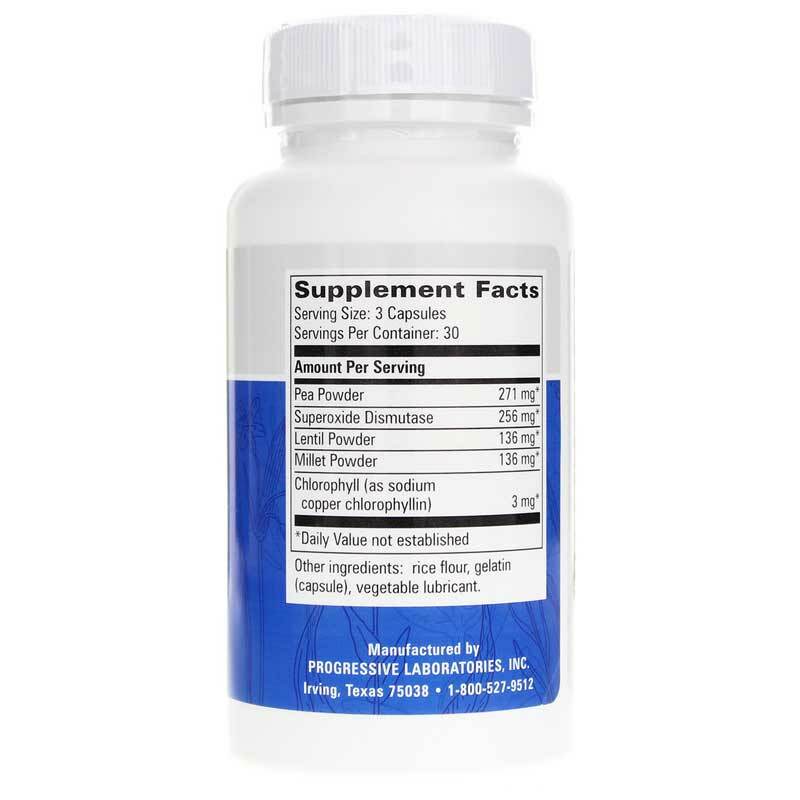 Dismuzyme from Progressive Laboratories is an antioxidant supplement that provides superoxide dismutase, along with other nutrients to help slow the effects of aging. This product comes in an easy-to-swallow capsule form, and can be taken between one and three time every day in support of better overall health. Help your body slow early aging in its track. 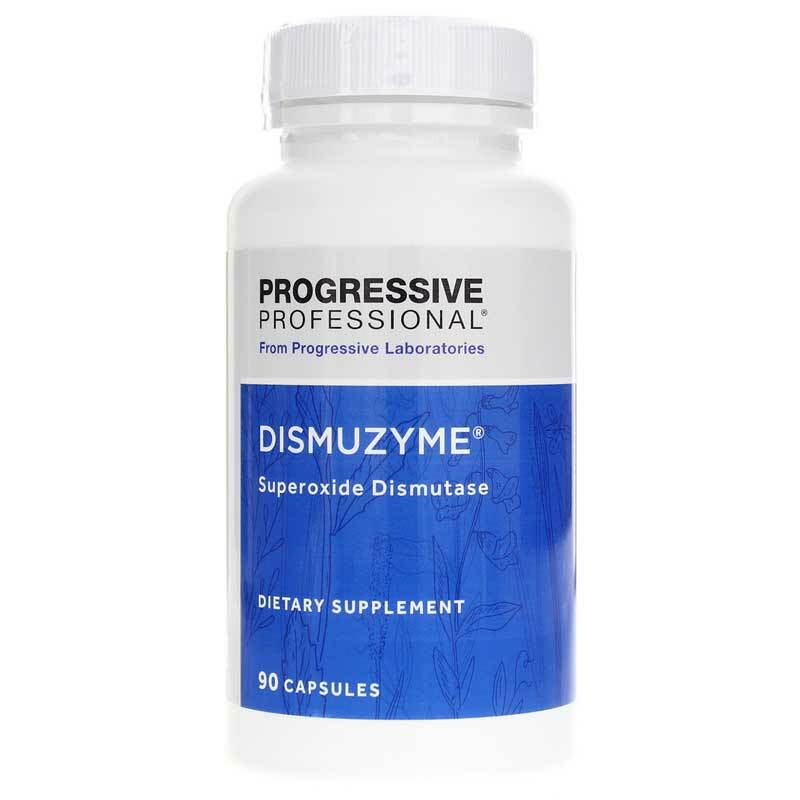 Give Dismuzye from Progressive laboratories a try today, and see the difference it may be able to make for you. Order now! Adults: One to three capsules daily, or more, as directed by your healthcare professional.